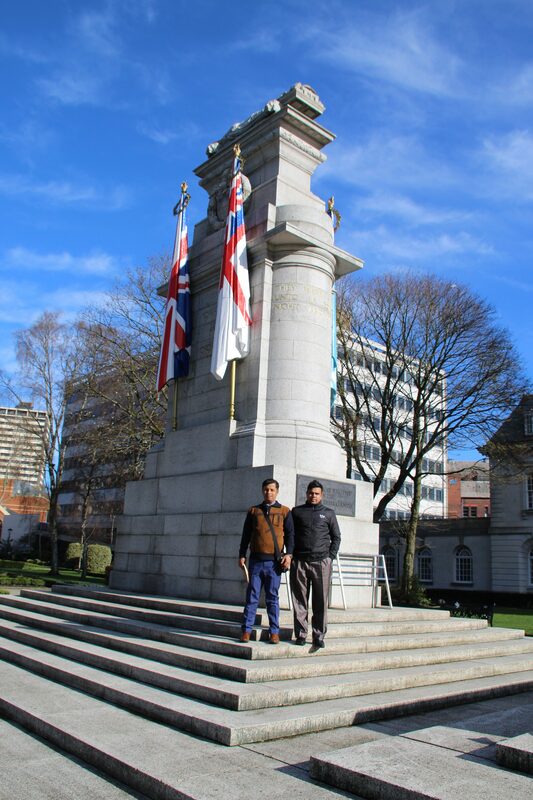 We are happy to announce the arrival of Headteacher Mr Hussain Shah and Senior teacher Mr Imran Ali from Hazi Rashid High School in Sylhet, Bangladesh . They had arrived in a sunny Manchester yesterday after an extremely long and tiring journey of 30 hours! 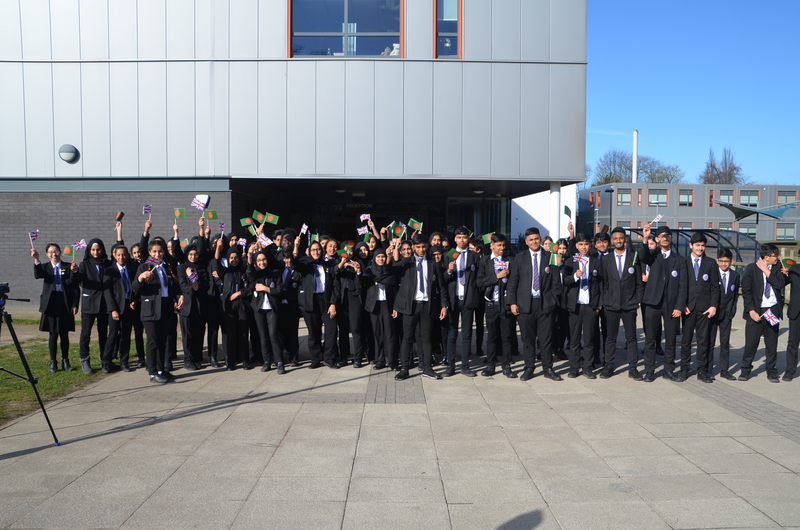 This morning Mrs Wystawnoha & Mr. Ahmed collected our visitors from their hotel and showed them around the sites of Rochdale town centre before their arrival at Falinge Park .Both teachers were welcomed by Miss Allen, Pupil Leadership Programme , Mr Miah and the Connecting Classrooms Ambassadors who were all waiting outside waving flags to symbolise our wonderful partnership. It was a great sight to see how excited the pupils and staff were to finally meet each other to begin the reciprocal visit. 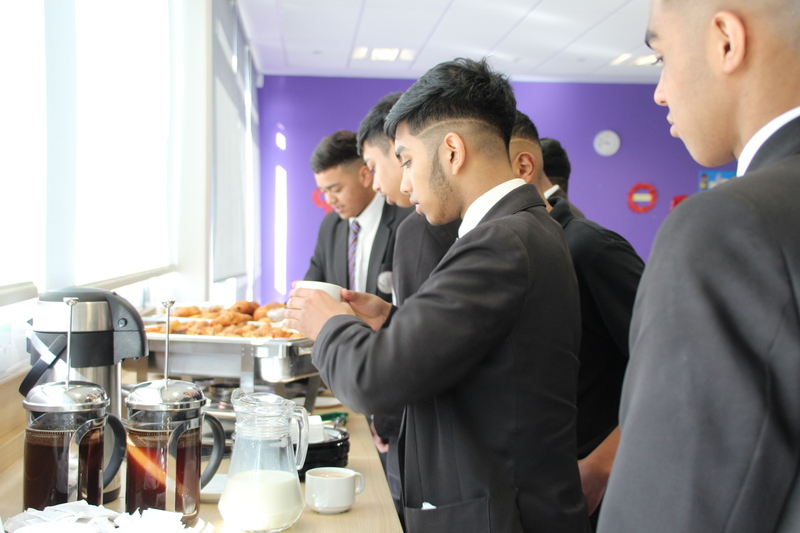 Our guests were next taken to enjoy tea and pastries whilst the pupils and our visitors chatted and many questions were asked . 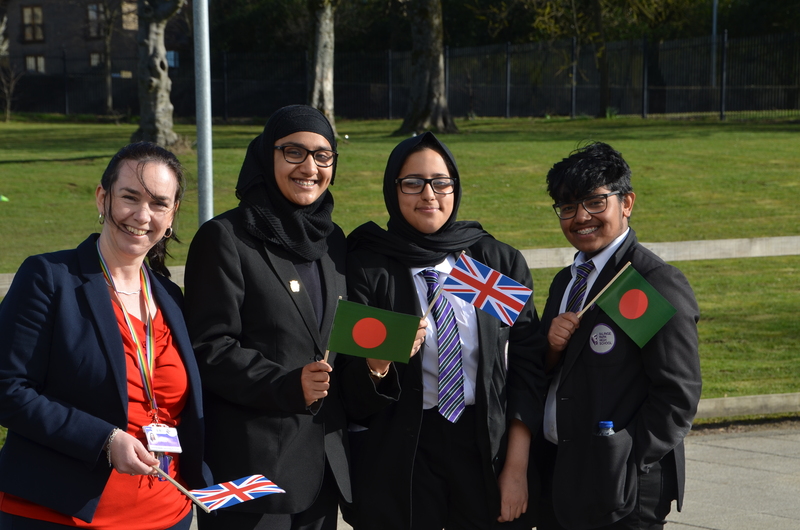 We enjoyed hearing the pupils speaking with the visitors in Bangla and watching the smiles grow . 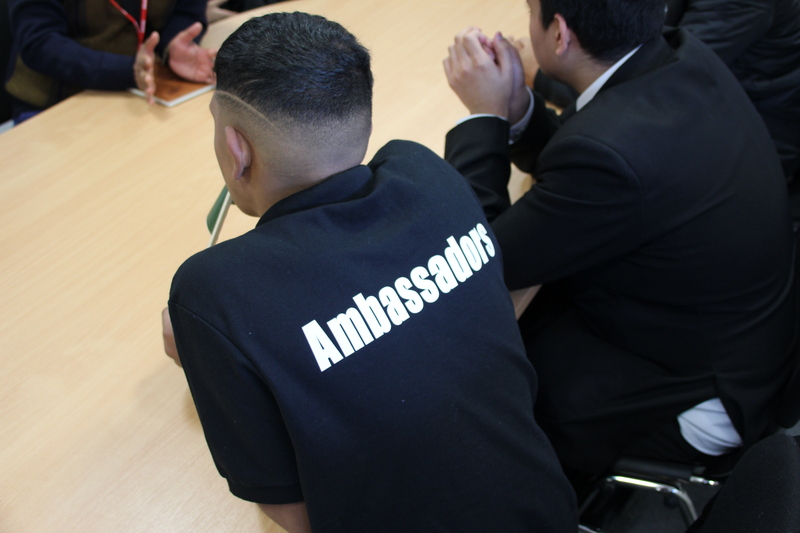 We next embarked on our tour of the school where we showed our guests a variety of lessons . They were very impressed with the work that our pupils produce and in the different lessons that were taught from Science , PE and Technology where some of the Yr 11s showed off their work . We also managed to show off our new interactive boards and the pupils gave a small lesson and showed our visitors how to use them . Imran was quick to have a go and showed a real talent for it ! We also visited the cookery rooms where Ms Fitton and her class explained what they were doing and expertly demonstrated the equipment that is used by pupils . 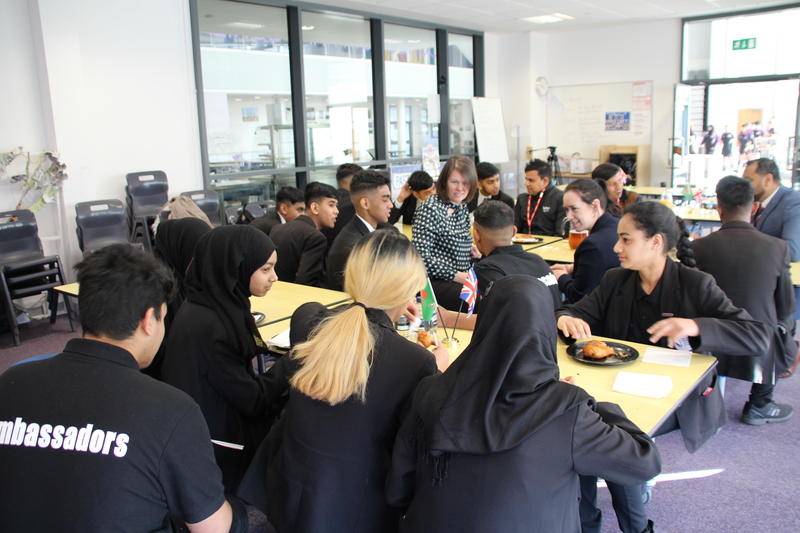 We enjoyed lunch from the school canteen and shared how the systems of schools are both similar and different in both countries . It was good to hear, how although we are far apart, we hold many of the same values. In the afternoon we went to see some more classes and Year 7 RE showed their impeccable behaviour whilst explaining how to use our learning goal sheets . 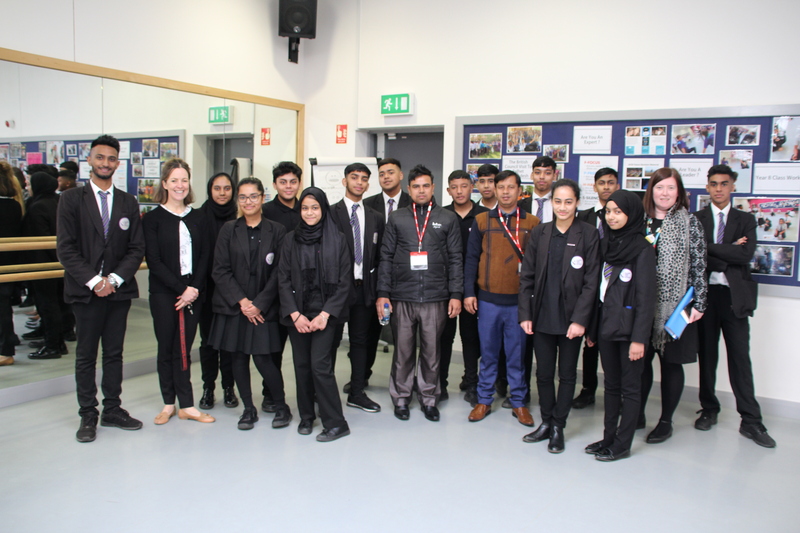 Mr Mvula’s Year 9 dance class gave an exemplary demonstration of their team dance we then finished off the school day with Mrs Bryning’s Year 11 Maths class who tackling difficult mathematical problem solving whilst clearly explain their thinking, which was extremely interesting . Our visitors had a very busy first day at Falinge Park and we are looking forward to an enjoyable week together .